Rome/Italy (2018) – For centuries it was a very well known marketplace for business and trade as well as a center for religious and public life in ancient Rome. It was the heart of the Roman Empire and of course the heart of Rome. It was home to government buildings like the Senate and to the most imposing basilicas, temples and monuments – the Roman Forum. Built on an Etruscan burial ground and first developed in the 7th century BC, the Forum became with time a celebrated meeting place. It was a place for processions, elections, public speeches, criminal trials and it was the center of commerce in the Roman Empire. What's left of it today in the valley between Rome's hills Palatine and Capitoline, right in the center of Rome, is by all means still very impressive, even though most of the former glorious buildings are reduced to free-standing columns, lots of really old stones spread out at the square and some decayed ruins which somehow still have the power to take you back in time and trigger your imagination how it might have been in this part of the past. The thousands of people walking through the Forum plaza daily – over 4 million people every year – can't take away this unique feeling of walking a "sacred" ground. It's breathtaking and this is not at all exaggerated. Even though the Forum was started around 800 BC to 600 A.D and "in use" for about 1.400 years, it was only rediscovered when the Italian archeologist Carlo Fea (1753 - 1836) in 1803 began his excavation work at the Forum. 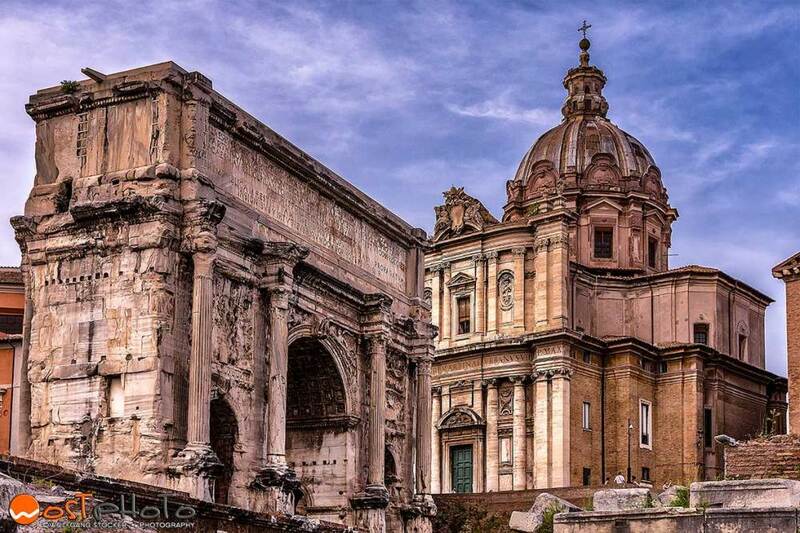 It took over 100 years to clear the Roman Forum and only since the 20th century it seems fully excavated and can show proudly the remains of the Roman Empire over several centuries. Archaeologists insist that a lifetime would not be enough time to discover all that there still lies in the Roman Forum. Therefore excavations still are going on and new discoveries are made from time to time. In 2014 the remains of a wall, dating back to 900 BC, were found, making the Eternal City two centuries older than previously believed.